Do you find it difficult to relax and are you an overthinker? Don’t worry, you’re not alone. It’s difficult to silence your thought process especially when you have a busy lifestyle. Negative thought patterns can lead to even more stress making it hard to sleep at night and difficult to function during the day. So how can you control your thought patterns to improve your mental and physical health? Muse brain-sensing headbands are the future for meditation. Meditation isn’t used to silence your thought process completely; it’s used to control it. Some people don’t practice meditation because they’re not sure how to do it on their own, so they usually visit an instructor to guide them through the process. The cost of meditation courses can be expensive especially if there are retreats involved. Luckily there are ways you can practice meditation without the aid of an instructor. 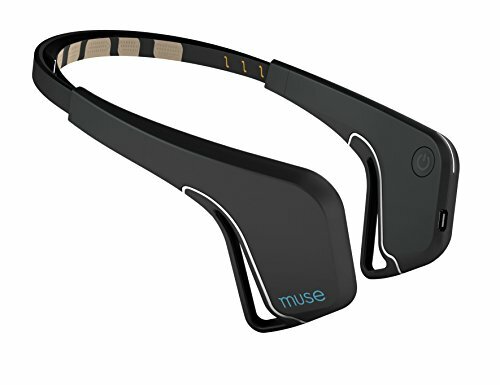 You can use a Muse brain sensing headband. What are the Muse Headbands? Muse is a brain-sensing device you wear around your head. The headband measures your brain activity using four different electroencephalography (EEG) sensors. You can use a mobile app that converts the EEG information into audio format. The standard Muse headband is only used to perform mind meditation. It’s ideal for people who are beginners as it guides you through the processes and keeps you calm while you’re practicing your meditation. The Muse 2 is more suited for advanced meditators as it has more than one meditation technique. With the Muse 2, you can perform heart, breathing and body meditation. The practice of mind meditation deals with your thought process and how to manage it effectively. You can use your imagination to picture different scenes that help you focus on your thoughts. Mind meditation can also teach you to dispel negative thinking and replace it with positive thoughts instead. This type of meditation technique helps you focus on your heart rate. The practice of heart meditation is used to lower blood pressure and decrease heart palpitations. You can use this practice to slow down your heart rate after an intense cardio session. Breathing meditation helps improve your respiratory function and can be ideal if you’re a runner or cyclist. By doing this exercise correctly you can recover faster after your cardio sessions and it will increase your stamina as you won’t breathe as rapidly. The practice of body meditation teaches you to focus on different parts of your body which help you keep your mind from wandering when you’re trying to concentrate. There are many techniques such as a body scan you can use to practice this type of meditation which will help you concentrate better. Saving you money and travel time the Muse headband guides you through easy to understand mind meditation techniques. By providing you with EEG neuro-feedback you can see your progress and mind management over time. Muse is used to teach your mind to be calm in stressful situations so you can have more emotional tolerance and calmness. With these skills, you’re able to make rational decisions more effectively when you’re under pressure. The Muse headband can connect to any IOS and Android device. With the Muse app, you can tune into different calming sounds such as beach waves, a rain forest or birds. The technology is so effective that it can detect when your mind wanders and to notify you it will intensify the sound you’ve selected. By doing this it aids in drawing your attention to the present moment. By using the Muse app, you’re able to get real-time feedback of your sessions. The app can detect thought patterns when you’re calm or when your mind wanders. You can review your data after each session to see your meditation process. With the app, you can set goals and improve your technique over time. 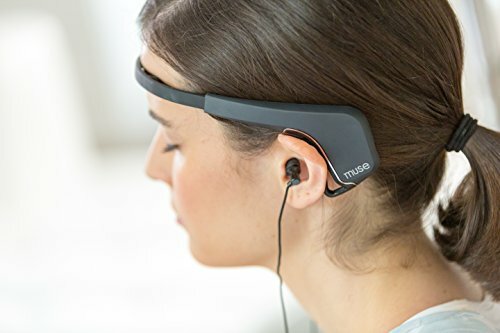 The Muse headband can be used by multiple users, and with its five-hour battery life, you can meditate without worrying about the battery dying. You’re able to practice your meditation anytime and anywhere as the device is completely portable. The Muse has a USB charging point which allows you to plug it into your computer or laptop. The USB is also a beneficial feature as you can download your meditation feedback and place it onto another device. Pick from a selection of five ambient sounds to help you focus and stay centered. 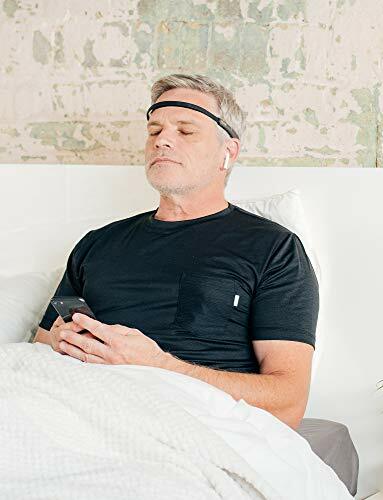 The Muse 2 is a multi-sensory meditation device that detects your process and sends you real-time feedback on your brain activity, heart rate, breathing process & the relaxation of your body. The feedback is sent to you through audio which you can hear through headphones. Through the mind meditation process, you’re able to listen to the calming sound of weather such as light rain. When your mind wanders the sound will change into stormy weather which helps you redirect your thoughts to the present moment. With this meditation technique Muse, 2 will play the sound of your heartbeat back to you represented by soothing drums. By being aware of the audio sounds you can synchronize your heartbeat to the drums which creates calmness and helps regulate your heart rate. 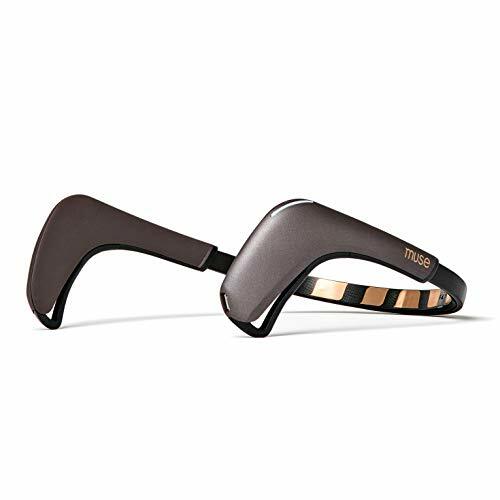 The Muse 2 headband aids in regulating your breathing by providing you with ambient music. By following the guiding sounds you can synchronize your breathing to the pattern of the music. When you remain focused the music will be calm but when your mind wanders the music will change. This practice provides the sound of gentle wind chimes. The body meditation teaches you to sit in an upright position and sway slightly to the sound of the chimes. The sound of the chimes brings your attention to your body movement building your awareness over time. The Muse 2 headband allows you to connect to a free app that’s compatible with any iOS or Android device. The five-hour battery life allows you to meditate for long periods of time and at different intervals without having to charge it often. More than one person can use the headband by logging into their apps with different login credentials. You’re able to turn off disturbing notifications while using the app by switching your device to airplane mode. The Muse 2 helps you regulate your heart rate, improve your mental health and decreases tension in your body by playing ambient music which changes to help you stay focused. If you live a busy lifestyle and you’re prone to negative thought patterns, the Muse meditation headband could be the answer you’re looking for. Get your own Muse device and see how it improves your mental & physical health.